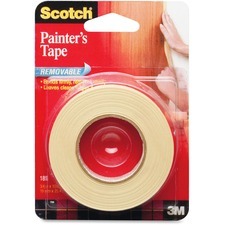 General-purpose masking tape conforms to corners and curved surfaces. Use for painting sharp, clean edges. Tape bonds firmly, removes easily leaving no residue, and resists breaking. 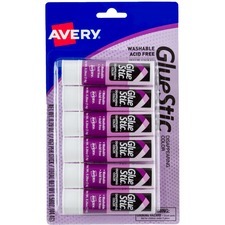 Confidently apply adhesive to every spot that needs it with this Disappearing Color Glue Stic. The permanent adhesive goes on purple to show exactly where you've applied it and then dries clear. The fast-drying glue applies smoothly and neatly to paper, cardboard, fabric and photos, making it ideal for arts and crafts. Glue washes out of clothing. Nontoxic formula is acid-free and archival-safe to protect photos. With this Glue Stic, you can apply glue without leaving a visible trace. 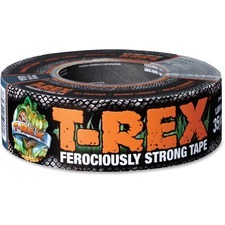 Extremely strong tape features a thick, aggressive adhesive to get the job done right the first time. For long-lasting performance, a UV-resistant layer blocks the sun's harsh rays from breaking through the outer skin and weakening the adhesive. All-weather skin maintains its adhesive properties through all types of weather and temperatures. 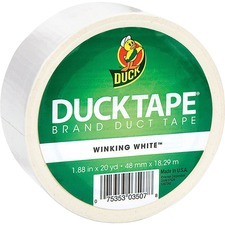 Duct tape is perfect for taping up tarps and rough fabrics, bundling large or heavy materials, making repairs and more. Lightweight, handheld, plastic dispenser features a braking device that allows tension to be applied while dispensing the tape for a tighter seal. Dispenser holds tape up to 2" wide and 60 yards long on a 3" core. Enjoy using the Scotch tape you know and trust with this fun, kitty-shaped tape dispenser. The perfect giftable item for office, home or school. 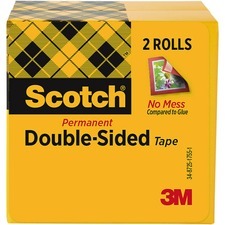 Package includes a 3/4" x 350" roll of Scotch Magic Tape. Tape can be written on with pen, pencil or marker. The dispenser fits rolls with a 1" core and a length of up to 1500". 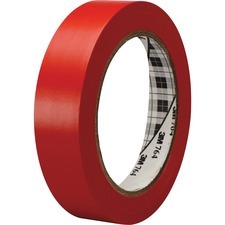 Double-sided tape is coated with permanent adhesive on both sides of the tape, making it the perfect no-mess alternative to glue for light-duty attaching and mounting tasks. The tape pulls off the roll smoothly and cuts easily without the hassle of a liner. Long-aging tape won't dry out or yellow. It is photo-safe (determined in accordance with ISO Standard 18916). 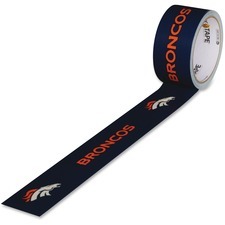 Denver Broncos-print duct tape can be used for a wide range of applications from standard repairs to fan engagement and pre-game tailgates. Easy-to-tear design can be quickly torn by hand without curling for easy use. 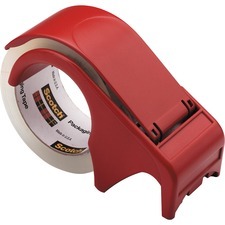 Weatherproof tape is flexible to wrap around even oddly shaped items. Strong adhesive powerfully sticks to a variety of surfaces like cloth, vinyl, leather, plastic, metal and laminates.